He left school at 16, starting work as a clerk. He was never a teacher, a vice-chancellor or a politician. Instead, he was a self-effacing, hard-working, wily conciliator who spent his life as a public servant. Yet Lord Dearing - who died last week - was education's universal 'Mr Fixit'. Indeed, his influence continues to shape most parts of today's school and university system. Just look at some of the reforms that can be traced directly to his extraordinary list of influential education reports: The introduction of student fees, AS-levels, the slimmed-down national curriculum, the assessment of '"core skills", and compulsory foreign languages in primary schools. His skill was highly prized by politicians. He was not a tub-thumper. Nor was he an innovator. But he had an extraordinary knack for making things work and for achieving compromise and agreement in areas of resistance and controversy. Perhaps the best known, and most controversial, of the many reviews he chaired was the National Committee of Inquiry into Higher Education, which led to undergraduates paying fees to cover some of the cost of their degrees. 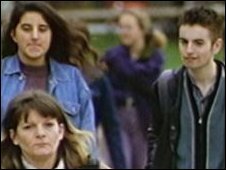 The review was commissioned by the last Conservative Education Secretary, Gillian Shephard, but did not report until after the 1997 election had brought the Blair government to power. At the time there was a real sense of crisis in the universities, which had seen a sharp real terms drop in the amount of funding they received for each student. Some universities were threatening to start charging fees to undergraduates. The Dearing Review recommended that full-time undergraduates should pay around £1,000 a year towards the cost of their degrees. The idea was that students would pay only after they had graduated and in proportion to their earnings. Prime Minister Blair and his Education Secretary, David Blunkett, broadly accepted this proposal, marking the end of free education for full-time undergraduates. However, they went a big step further than Dearing had proposed when they simultaneously decided to abolish grants for students' living costs and replace them with a new system of loans. Blunkett argued later that the government had been forced to go further than Dearing because his proposed fees alone would not raise enough money. But, considering the confusion and anger that has surrounded the policy ever since, Labour might have been wiser to stick with the original Dearing proposal. If grants had been kept, the government would not have had to construct the complicated and expensive system of loans and bursaries that replaced them. They may also have found it easier to introduce the "top-up fees" they considered necessary just a few years later. Nevertheless, the Dearing Review crossed a major threshold. Once students started to pay fees, there was no way to put the genie back in the bottle. And there was much more to the Dearing Report than the introduction of fees. It proposed the lifting of the cap on student numbers. It also urged renewed expansion of higher education, particularly at sub-degree level, and proposed extra funding for universities that committed to widening participation. All of these came into effect. Ten years later, Dearing was philosophical about the fate of his review but said he had one major regret, namely that "We did not do more to address the needs of the part-time learner." The higher education review was neither Dearing's first, nor his last, foray into perilous education debates. His first was in 1993 when the Conservative government, struggling with their recently created and hugely bloated national curriculum, looked to him to find a way of making it fit into the school timetable. Faced with a threatened boycott of the school tests by the unions, the Education Secretary John Patten was in danger of being engulfed by a schools crisis. He turned to Sir Ron. Dearing suggested a slimmed down, less prescriptive curriculum and averted a major show-down between the government and the teacher unions. He recommended slashing much of the compulsory content of all the compulsory subjects, apart from English, maths and science. He also proposed that 15% of the timetable in primary schools, and 25% at secondary level, should be left to teachers' discretion. On testing, Dearing made the critical suggestion that teachers' own assessments of pupils should carry the same weight as the new external tests that were so hated by the teacher unions. He further recommended a halving of the content of the test at ages 7 and 14. 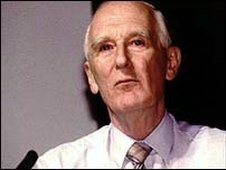 Subsequent history suggests Dearing should have gone even further but his report certainly saved schools from an even bigger crisis than the one that had already pitched government and unions into a bitter battle over school tests and curriculum. So Lord Dearing became known as the great conciliator or, as one academic commentary put it, the "Red Adair of educational oilfield fires". The message was not lost on succeeding education secretaries who turned to him to achieve workable solutions for promoting "core skills" amongst teenagers, reforming 16-19 education, and, most recently, introducing compulsory foreign languages into primary schools. Not all his recommendations have been implemented. Others, such as the introduction of AS-levels, have had mixed success. But the quiet and assiduous civil servant continued to find a middle way between political ideologues and reform-resistant professionals. He was always approachable, never let his ego get in the way of progress, and had a genuine commitment to improving education. Few indeed can match his contribution to education policy over the past 15 years.